Jury comments: More than 65 varieties of Japanese maples are cultivated on a small plot where this house is embedded. 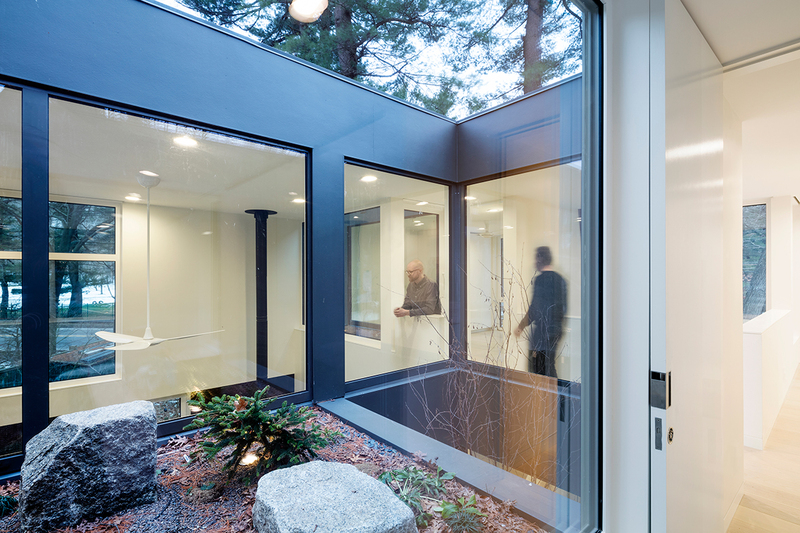 Matching the form of the trees, the house is a balance between massive forms and luminous voids. 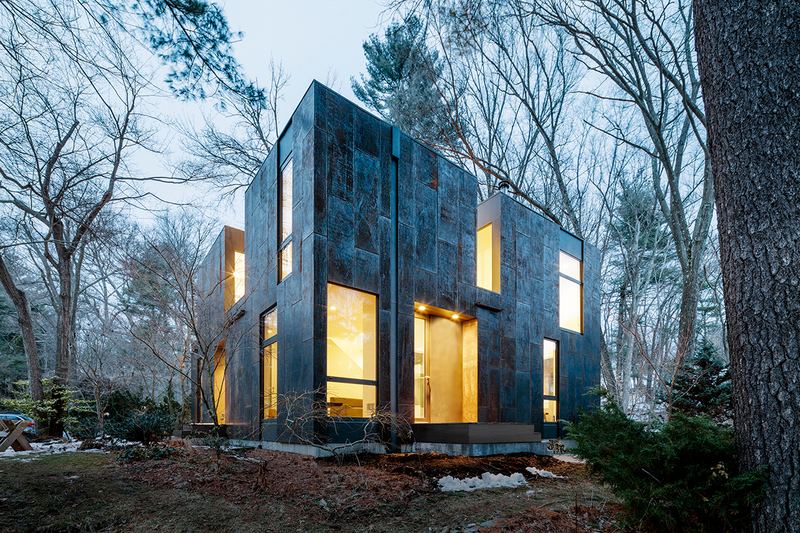 Steel cladding with a patina plays off the palette of the surrounding trees, enhancing the blur between structure and nature.